These RPC Covers fit perfectly over IFCO containers. Used for covering freshly harvested fruits and vegetables. You have optimal venilation with IFCO containers. 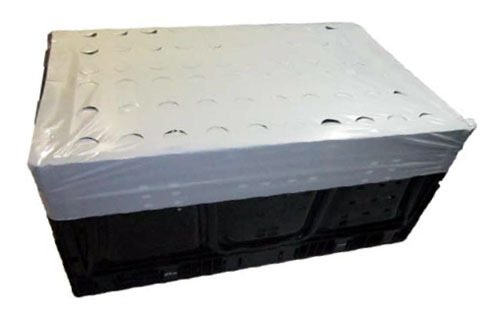 Why risk your produce with a sub-standard poly cover? Protect your produce by reducing exposure to insects, soil and dust. 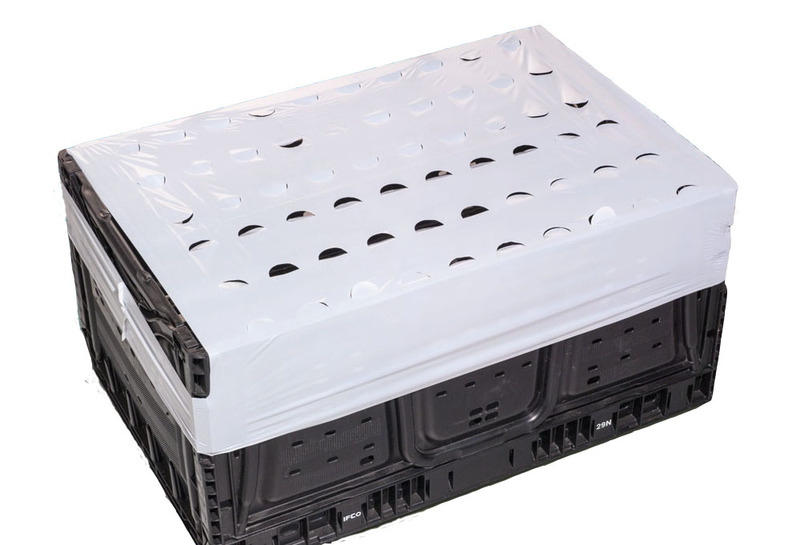 The flexible white polyethylene cover reflects and blocks the sun’s rays, keeping produce from drying out. The poly film is vented allowing the contents of your RPC Container to breath. Quick and simple - Easily stretches over the corners of the RPC. We custom make virtually any size vented poly film covers Custom Poly Sheeting.